It has been a tough few years for the commercial construction and innovation industry, but it’s becoming more and more apparent it’s on the upswing. During and immediately following the economic crash of 2008, you didn’t have to travel too far before coming across a stalled project that reflected the economic reality of the time. By comparison, 2015 saw construction sites humming to life, properties getting snatched, and real estate values increasing more quickly than in recent history. By almost any measure, the construction and renovation industry hit the ground running at the start of 2015. For the first time in years, contractors were optimistic and eager to dive into new projects. In fact, according the Engineering News-Record’s Construction Industry Confidence Index, more than 6 in 10 subcontractors surveyed were optimistic when looking at the year ahead. They had good reason to feel good, considering the year earlier saw nearly all major construction markets make gains or stay positive. As the year winds down, those high expectations have been proven justified — with lower fuel costs, no major weather-related events (with a few regional exceptions during the early winter months) and an accelerating job market helping to improve outlooks for new construction and renovations. Throughout the recession and for years after, the Washington region has remained strong. Bolstered by higher-than-average median incomes and enviable property values that never sank as low as they did elsewhere, the region continues to stay strong in terms of construction investments. Additionally, construction costs stayed relatively low when compared with other major construction markets across the United States. The Washington D.C. metropolitan area, Northern Virginia and Maryland, have seen major revitalization and construction projects in the last year, ranging from museums and sports venues to shopping centers and major hotels. What does that mean for construction project investors? It means that this region is a relatively safe bet and likely will continue to be one in coming months. As the 2015 construction season winds down and braces for slower winter months, forecasters are looking ahead to 2016 — and their predictions are good. The American Institute of Architects (AIA) conducts regular surveys to determine industry sentiment. 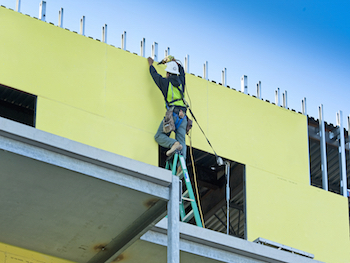 According to a survey reported in late summer, the commercial construction was “red-hot” compared with others and will likely continue to pull the overall industry forward at breakneck speed. This is in part due to increased spending on health care and education facilities — a trend that likely will not slow in any meaningful way during the next year. In sum, the AIA survey suggests continued strong growth, with an anticipated increase of 8.2 percent in 2016, compared with its estimate of a nearly 9 percent increase in 2015. It’s a positive picture for an industry that was hit so hard by the economic downturn, and it’s encouraging for the economy at large.